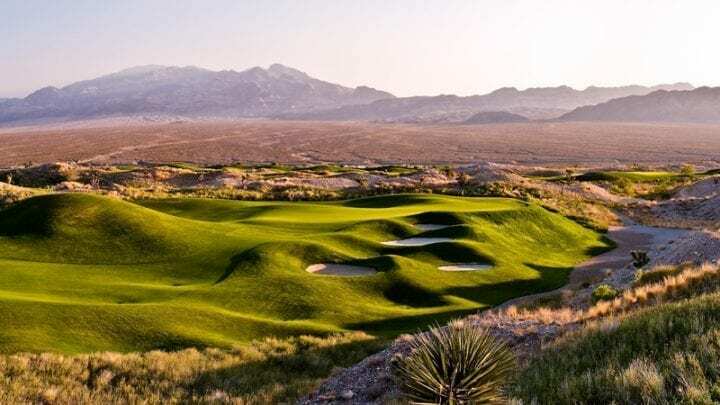 – Distance from Strip: 35 – 40 Min. 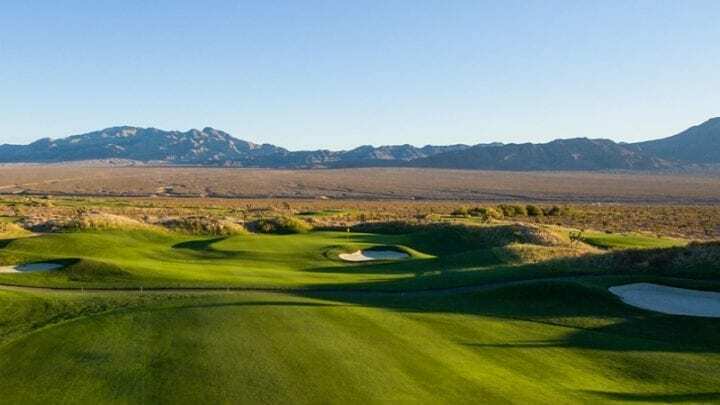 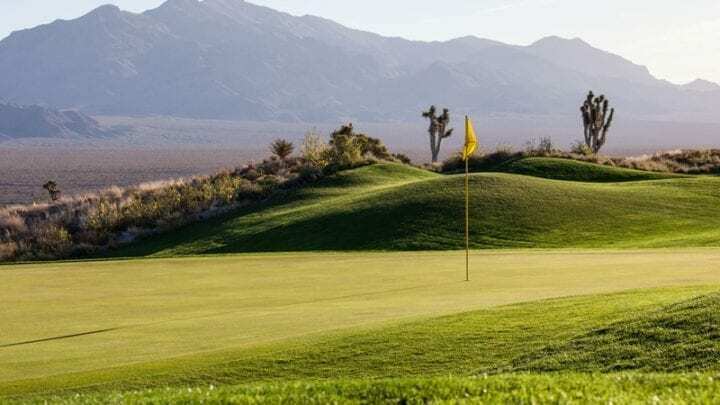 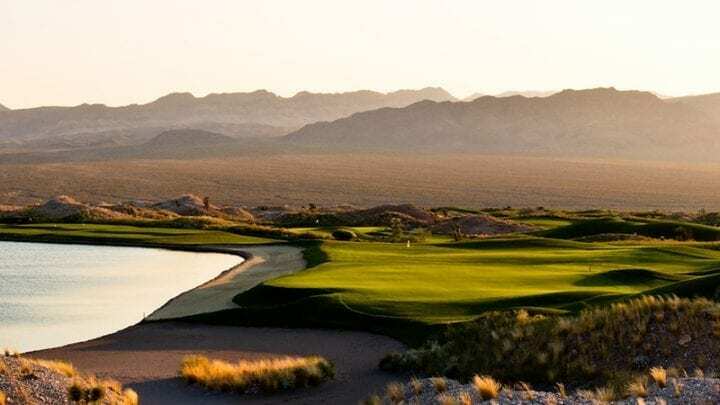 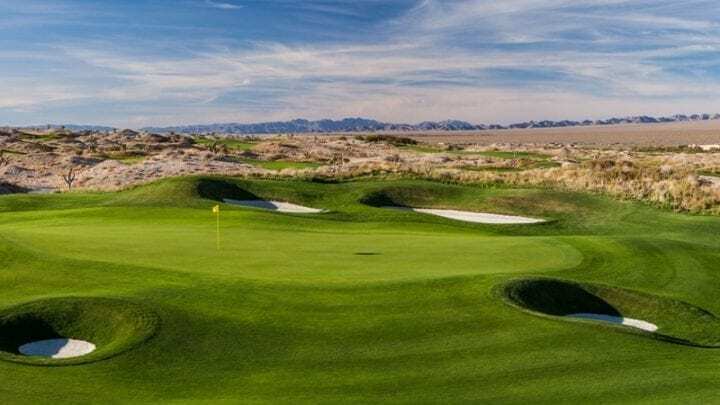 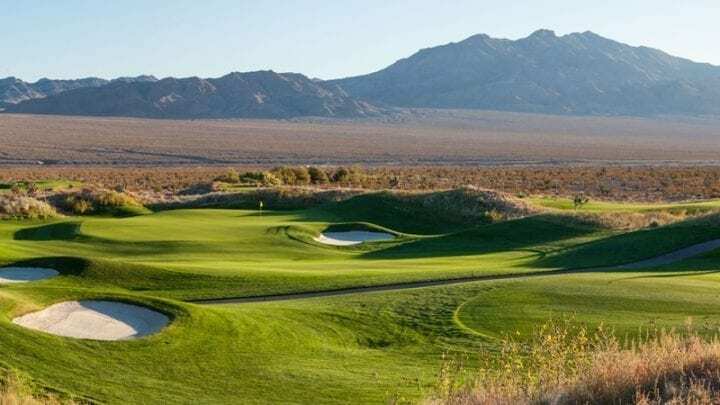 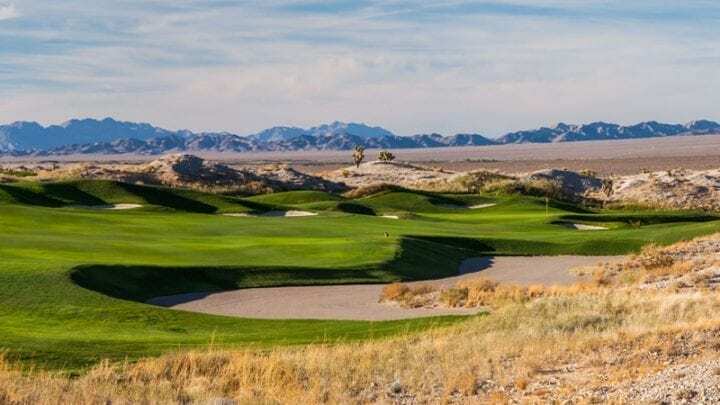 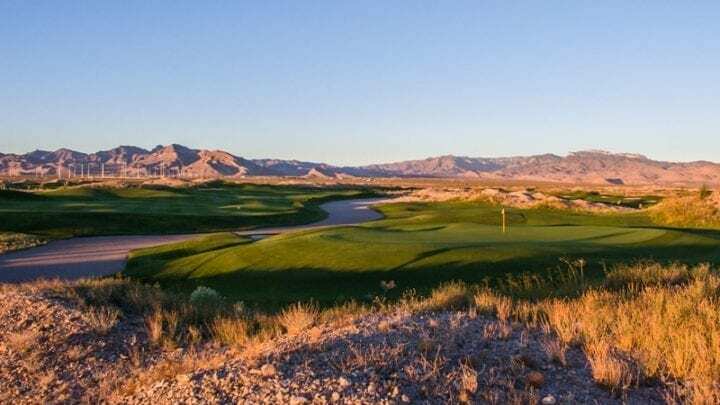 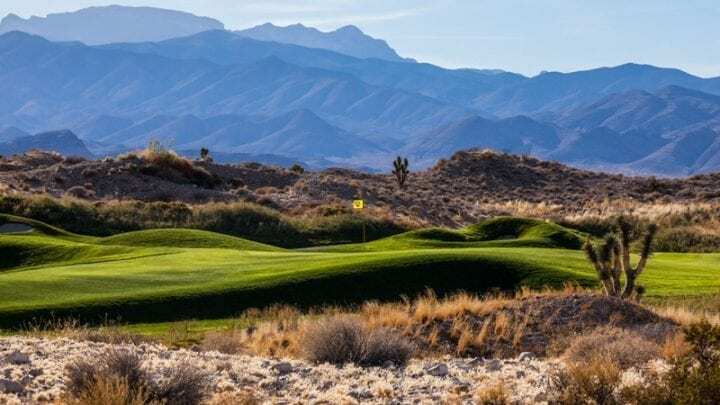 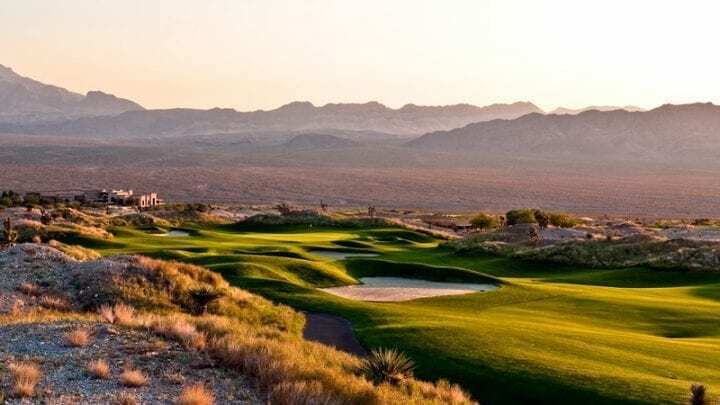 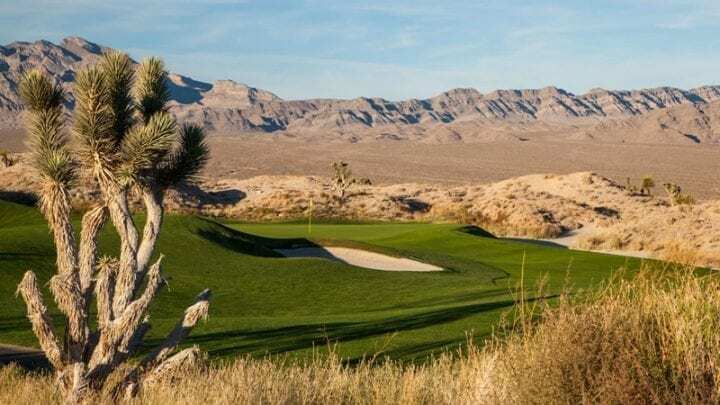 The Las Vegas Paiute Wolf course, being dubbed as the most difficult course in the Las Vegas valley, is the most recent addition to the Las Vegas Paiute Golf Resort. 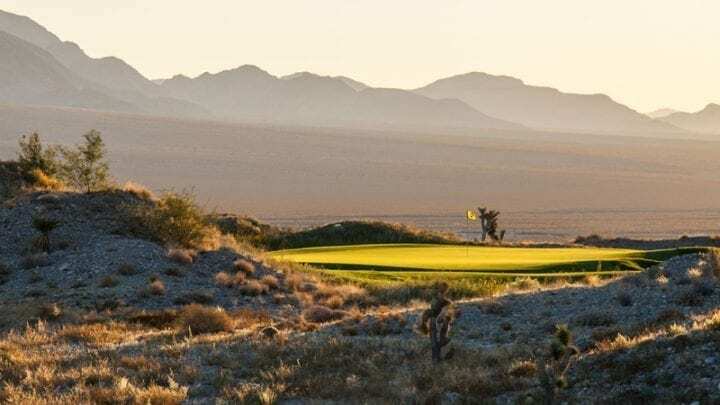 Pete Dye thought of what creature a golfer would not want to come across in the desert (other than a rattle-snake) and that would be a wolf. 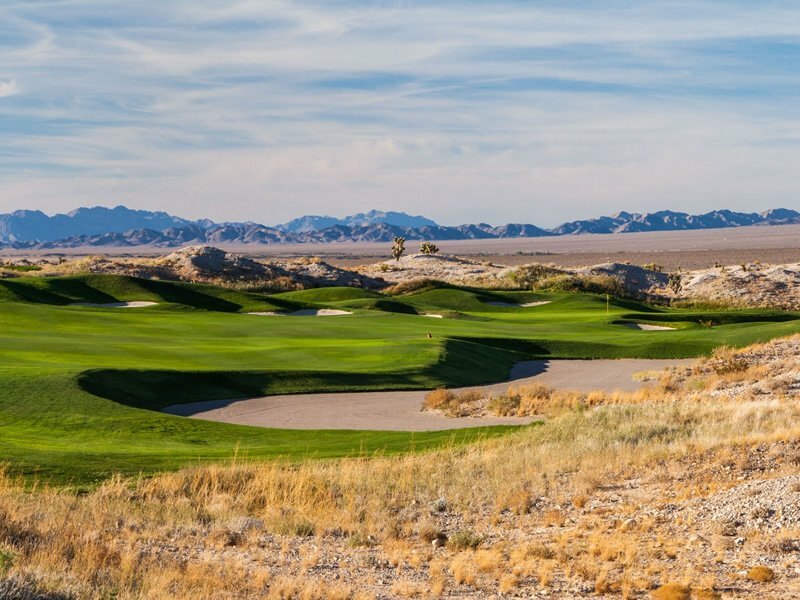 That is a perfect name for this course, because it is scary and does make you feel like its teeth are snarling at you dripping with saliva. 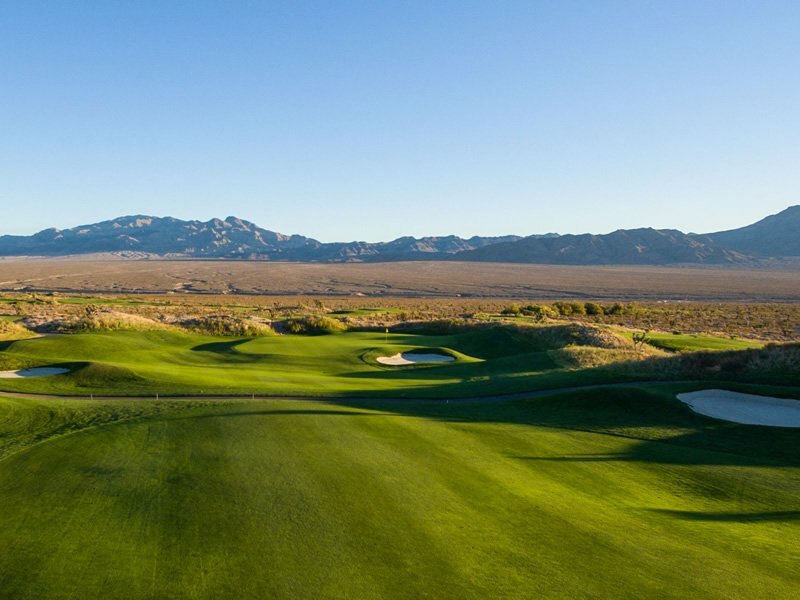 In other words, this track is tough. 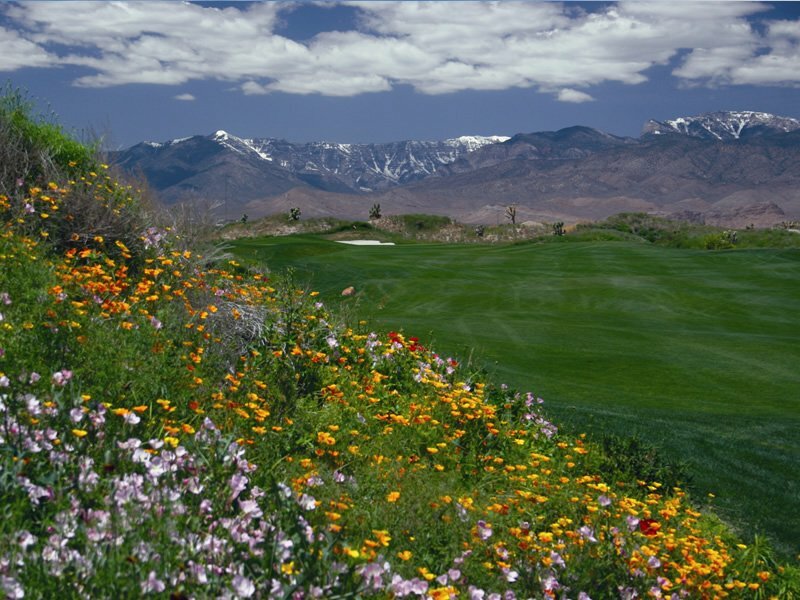 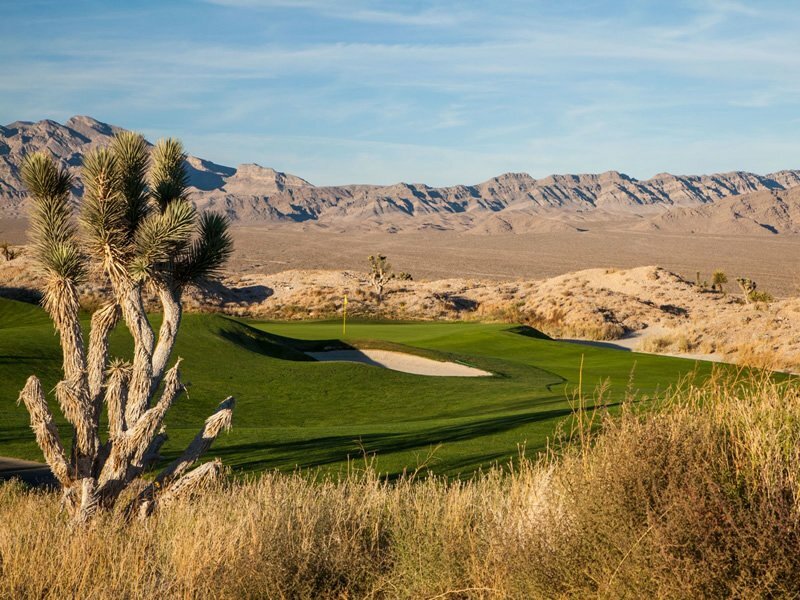 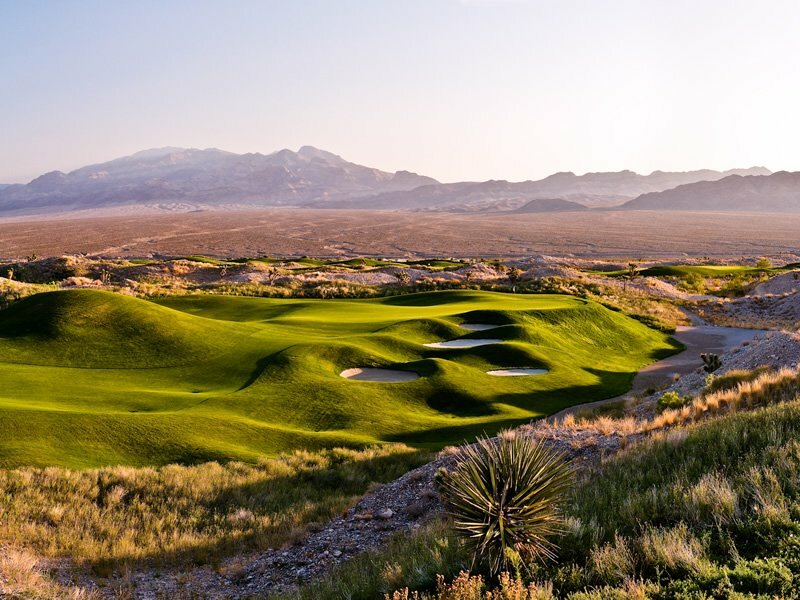 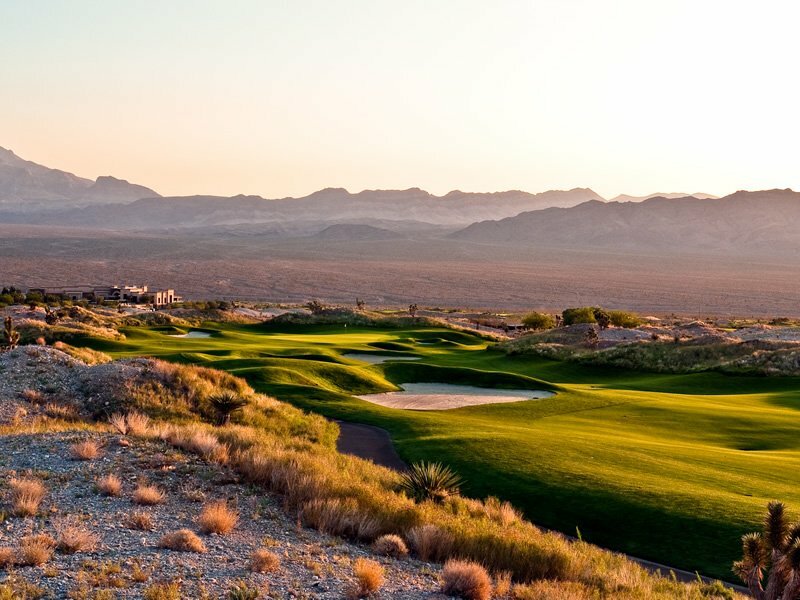 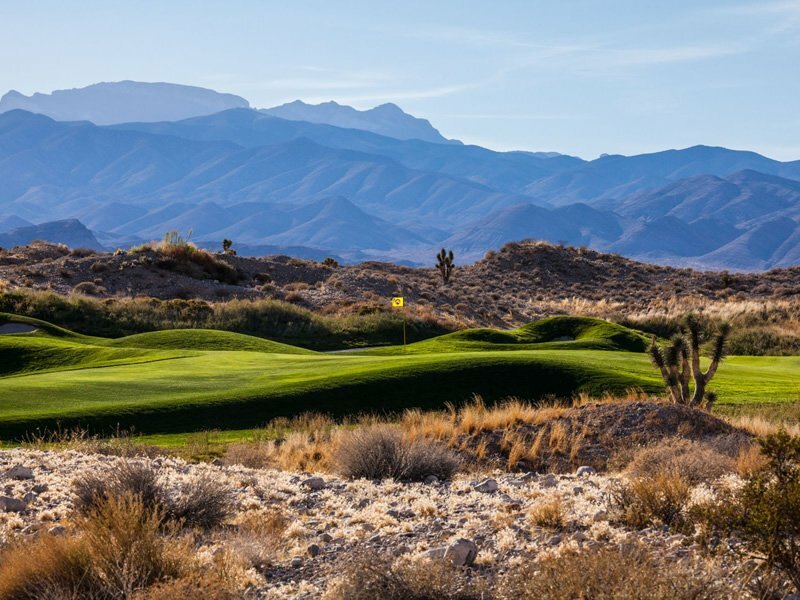 Utilizing every aspect of the desert landscaping, Las Vegas Paiute Wolf course was designed to give the most skilled players a run for their money. 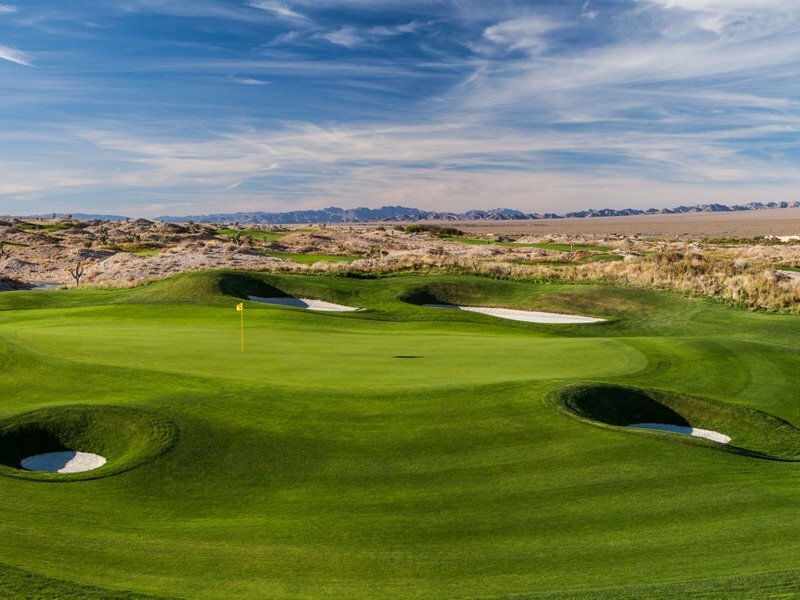 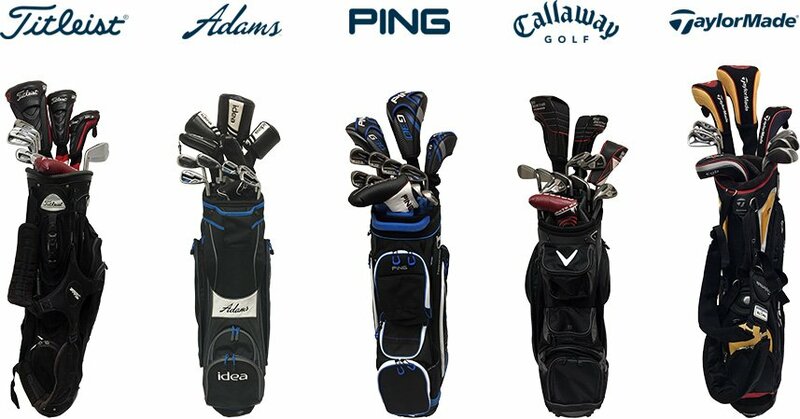 With the fairways being tight and the greens small, there is little room for error if you want a good score for your handicap. 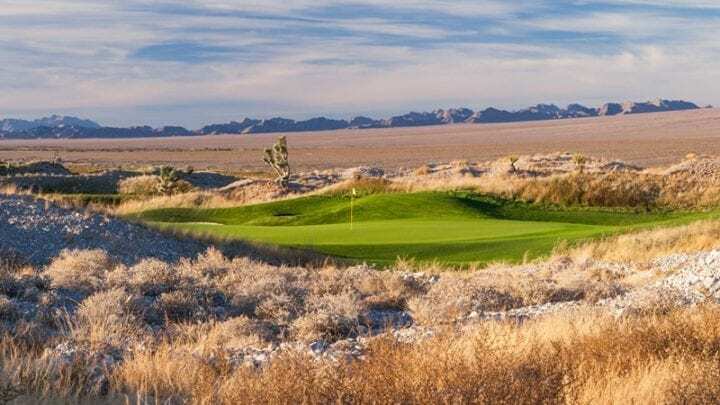 The natural desert wash areas are strategically used on each hole forcing long hitters to hit it straight or work the ball to find the short stuff. 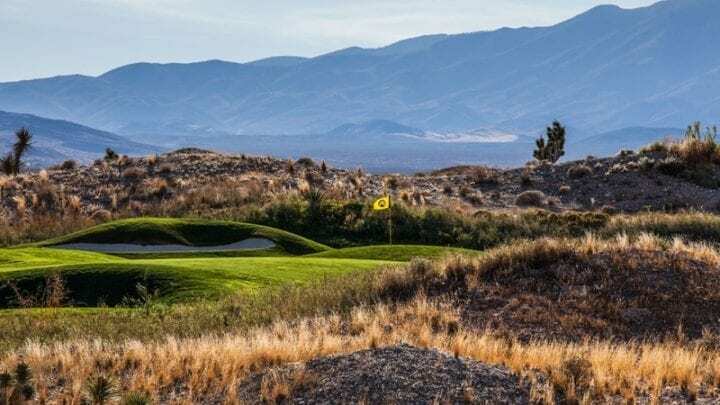 Las Vegas Paiute Wolf course's signature hole and the one you will always remember is number 15. 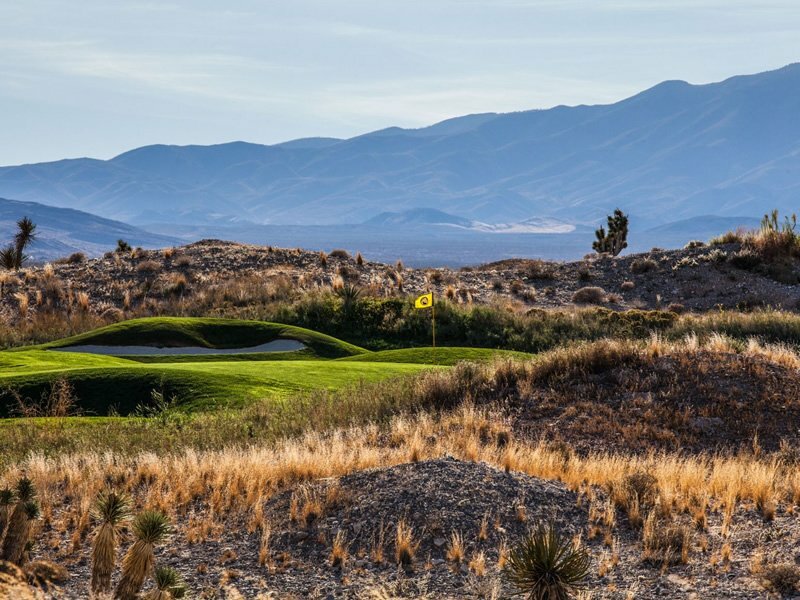 It is a par-3 that plays 182 yards from the tips. 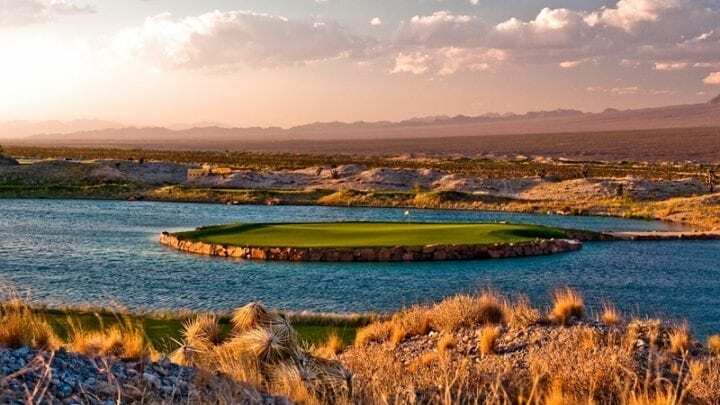 Doesn’t sound tough huh, how about a true island green to go along with that? 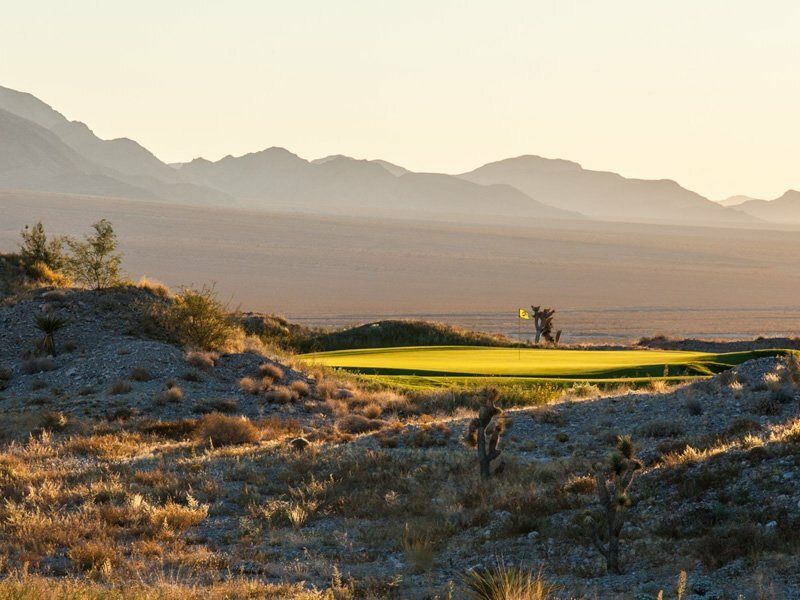 Not hard enough, how about a three-tiered green for ridiculously hard putts. 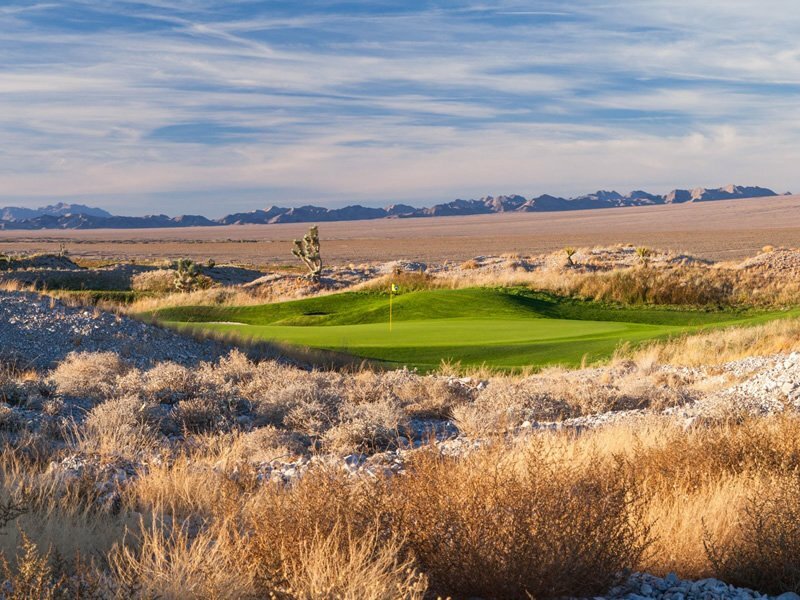 Even though the green is generous in size, for some reason the island green makes it look smaller. 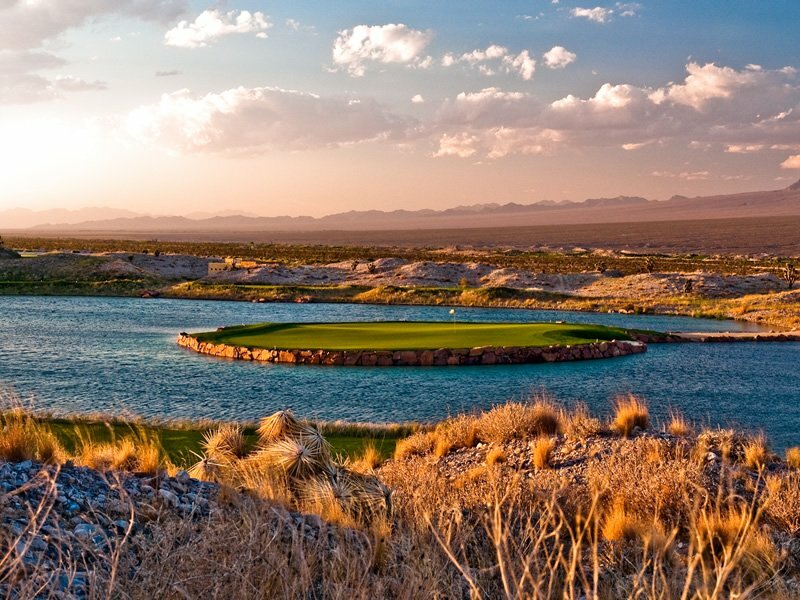 This hole is picture worthy. 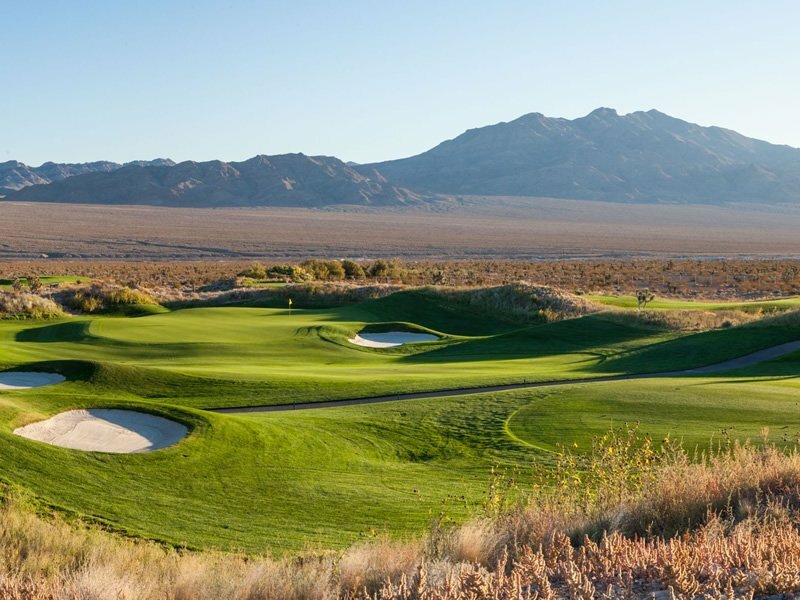 The Las Vegas Paiute Golf Resort is located roughly 30-40 minutes from the Las Vegas Strip. 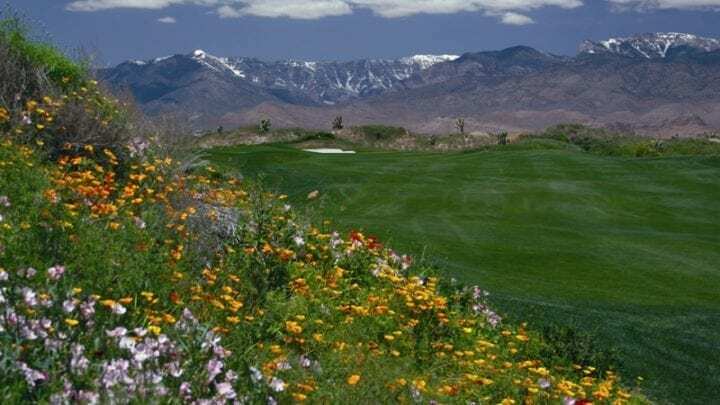 This is a full featured resort including all of the normal amenities: driving range, chipping and putting greens, full bar and restaurant, generous sized golf shop, and full banquet or reception accommodations. 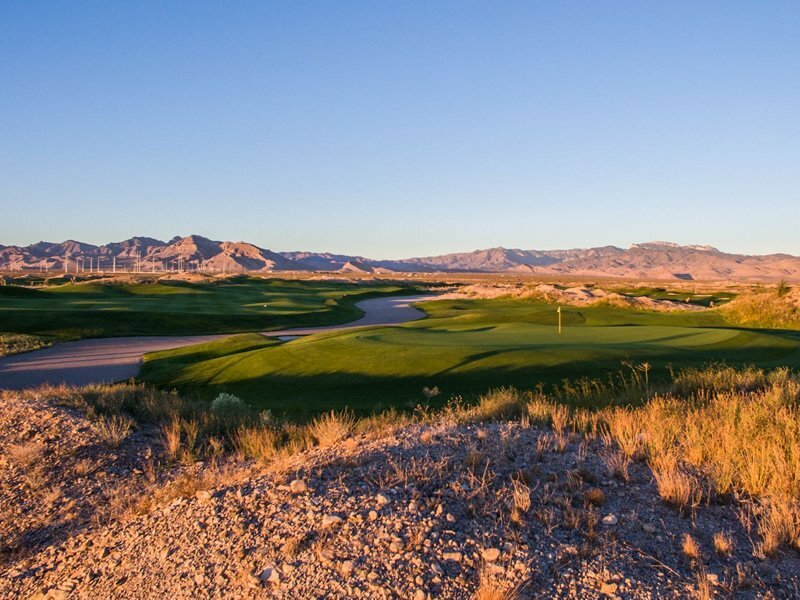 The course is designed with rye fairways, fescue rough, and bentgrass greens. 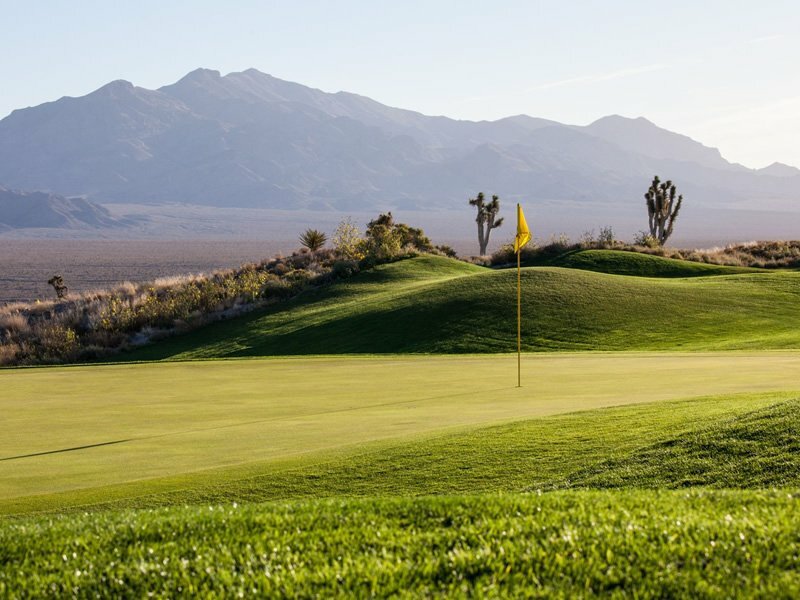 The greens come with moderate to severe breaks and undulations. 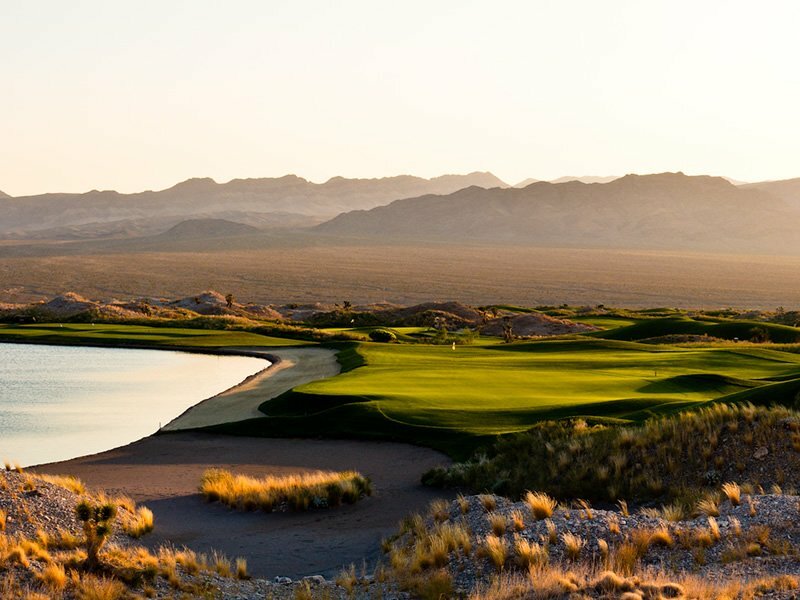 Enjoy your round at the Las Vegas Paiute Golf Resort.